Students performing their original play, "Illuminate," at Destiny Arts Center in Oakland, Calif. The movement to unify the field began in 2014 with a national stakeholder meeting in Boston, hosted by the Massachusetts Cultural Council. Since then, it has grown under the guidance of the National Partnership for Creative Youth Development. The William and Flora Hewlett Foundation’s Performing Arts Program has been supporting CYD organizations for decades, without using that term. 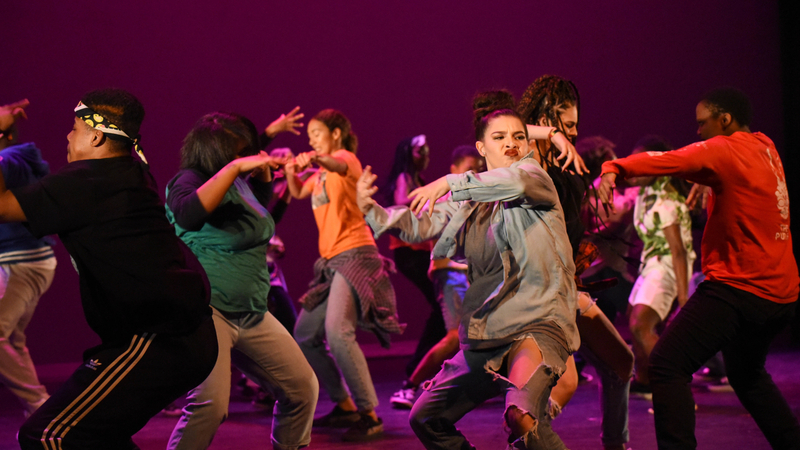 Grantees like Destiny Arts Center in Oakland, or Performing Arts Workshop in San Francisco, have built their work with young people around CYD principles, before there was such a thing. 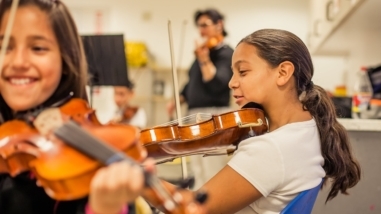 These organizations are part of Hewlett Foundation’s “arts education program delivery” substrategy. We also support national organizations — such as the National Guild for Community Arts Education and Americans for the Arts — that have pushed the CYD field to unify. This summer’s Boston convening was meant to build the CYD coalition to improve youth outcomes, with particular focus on three areas: Documenting best practices in order to communicate impact; expanding pathways to adequate funding; and connecting with fellow practitioners and supporters to learn. Funders concerned with equity and the right of all youth to a high quality, culturally relevant education — take note. Focus on youth voice: CYD programs combine youth-centered, project-based learning and multi-disciplinary content for a learning experience that is powerful and relevant to each student. For many young people, this kind of learning is just not available in their schools. Develop critical skills: CYD programs are learning spaces, where goals often align with social emotional learning outcomes, by teaching youth how to make smart decisions, develop healthy relationships with peers and adults in the same program, and cultivate self-awareness. Their curricula often also build deeper learning skills, by engaging students in self-directed, experiential learning where they develop communication and critical thinking skills. Build communities: CYD programs positively impact the communities in which they are rooted, and often place racial and social justice at the center of their work. The primary challenge for the field now is to make its presence known in related fields, such as education, youth development and juvenile justice. That involves documenting and publicizing CYD case studies. 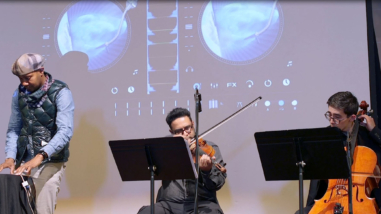 A second challenge is that much of the CYD field-building and scholarly articles to date originate from arts education organizations, such as the National Guild for Community Arts Education, the Massachusetts Cultural Council, and Americans for the Arts. The National Partnership needs to build on its existing networks in science and the humanities to create a truly diverse community of practice. Both of these challenges will begin to be addressed by a national field study of creative youth development programs, currently in process. The results will be available in early 2018 and illustrate the true breadth and depth of this field across the United States. Grantmakers who are interested in learning more can join the deep dive session “What is creative youth development?” at the Grantmakers for Education (GFE) conference in Washington, D.C. on Wednesday, Oct. 18, from 9:15-11:45 a.m. You will meet some key practitioners in the field of CYD, get to know some of its students, and experience first-hand how CYD programs spark learning and build community. I’ll be there. And so will high school seniors Maria Polanco and Audry Alvarado, who helped plan and will lead most of the session. For backgrounder, see “The Rise of Creative Youth Development” by Denise Montgomery, published by Taylor & Francis in the Arts Education Policy Review on June 16, 2016.